At Priti Gems Exports Pvt. Ltd. we strive for utmost customer satisfaction. At every turn, we have aspired to form long term and mutually benefit relations with all our stakeholders. 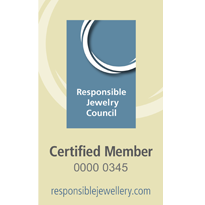 Being a certified member of the Responsible Jewellery Council (RJC) there are a number of ethical standards that the company is expected abide by. The Responsible Jewellery Council (RJC) is a not for profit organization with the following mission: "To advance ethical responsible, social and environmental practices, which respect human rights, throughout the diamond and gold jewellery supply chain, from mine to retail". Their "Code of Practices" define various ethically responsible, human rights, social, and environmental friendly practices; applicable to all RJC members. Priti Gems Exports Pvt. Ltd. is a certified member of RJC and is fully committed to complying with all of their practices. We strongly encourage all our business partners to follow and implement the various requirements of the RJC system. More information about the program is available on their website; www.responsiblejewellery.com. We encourage your co-operation in adopting these practices. 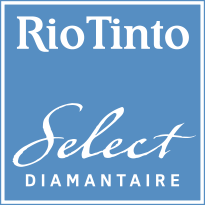 We hope that the entire diamond industry is seen as a role model in setting the highest standards with respect to business, social and environmental responsibilities.